What’s new in Vail for 2017? VAIL — Cruising down some of your favorite blue runs off the Mountain Top Express lift, you may have noticed Expresso is now called Slifer Express. That’s one of a few changes on the mountain and in town this year which honor the commitment skiers must make to themselves before every day on the hill, to keep looking forward. The run was named after Rod Slifer, who himself named more than a few runs on Vail Mountain including the famous Tourist Trap section of Riva Ridge. “After naming many of the runs on Vail Mountain … we are thrilled to honor him with his own run for his enormous contribution to Vail’s success from before it was Vail all the way through today,” said Chris Jarnot, Executive Vice President and COO at Vail Mountain. In addition to that newly named run, you’ll find a newly named chairlift – No. 9 – which is now called the Sun Up Express and was formerly known as Chair 17. That was the last in a long line of lift upgrades, nine over the last 10 years, which makes all of Vail’s major lifts now high speed. The idea was by upgrading the fixed-grip triple that was Chair 17, guests will be able to move across the mountain faster on their way to the back bowls, “especially on powder mornings as they head toward the terrain of the China Bowl complex and Blue Sky Basin,” Jarnot said. And there have plenty of those so far this year. Since Nov. 28, Vail has not reported fresh snow only six times. It’s been the type of season where fresh powder can still be found and the end of a long ski day, and that’s exactly what greeted guests closing the day on Thursday at Steady’s Deck, a new large deck located near the top of the Pickeroon Run near the Eagle’s Nest Expressway. It was named after Dr. Richard Steadman, the renowned orthopedic surgeon and Vail resident who became a legend in the ski industry for his pioneering approach, which got world class ski racers back on skis in record time and enabled professional athletes from nearly every sport to return to the playing field stronger than before. Steadman was also honored earlier this year with a lifesize bronze statue at a U.S. Ski Team alumni event in Beaver Creek. In the town of Vail, the west wing of the new Vail Valley Medical Center will open this year, and the The Steadman Clinic and the Steadman Philippon Research Institute will be housed in the new 59,000 square foot facility is complete. Also new in town this year are a few new restaurants for regulars and newcomers to check out. One of the most obvious while walking down Bridge Street will be the newly remodeled Pepi’s Bar and the new Pendulum restaurant across from it. For Pepi’s Restaurant, named after Vail legend Pepi Gramshammer, any change at all is monumental. Pepi’s Bar had not seen a remodel since opening in 1964. Across the street from the new bar at Pepi’s, the Pendulum restaurant will take the space of the old Ore House restaurant. It has not opened yet, but if you want to get a feel for it, try the newly renovated White Bison restaurant near Gore Creek, which will be managed by the same group. “PlumpJack Group has established themselves in the San Fransisco Bay Area, and now wants to make a presence here in Vail,” said White Bison Chef de Cuisine Christian Colter. White Bison and Pendulum will be the first venture into Colorado for PlumpJack Group, which was founded by California Lt. Governor Gavin Newsom. White Bison will be the newest option in Vail for late night food, as the restaurant plans to stay open past midnight and into the early morning hours with a full menu including soups, salads and entrees like their bison short rib poutine and the white bison burger. In addition to the new management and new menu, the bar has been completely remodeled to fit 20 people and the extended business hours — starting with brunch at 11 a.m. — are a new twist, as well. One of the most dramatic changes in Vail took place over the summer in the second-floor space that was Cilantros last year and the Tap Room before that. It is now known as Almresi and you’ll have to see it to believe just how transformed the space has become. What was once a dark tavern now has the feel of a sunlit cabin in Switzerland, complete with log walls and fireplace. “It’s the Alps meet the Rockies,” said owner Alyssa Thoma, who undertook the new endeavor along with her father, Franz Thoma. This is the Thomas’ first restaurant in the U.S.; the family also has a couple of restaurants in Germany. And make it happen, they have. They start every day with a breakfast take out window at the bottom of the slopes in Seibert’s Circle. With pastries and a coffee bar reminiscent of a cafe in downtown Vienna, they will be offering a breakfast buffet, lunch and dinner in their first year. 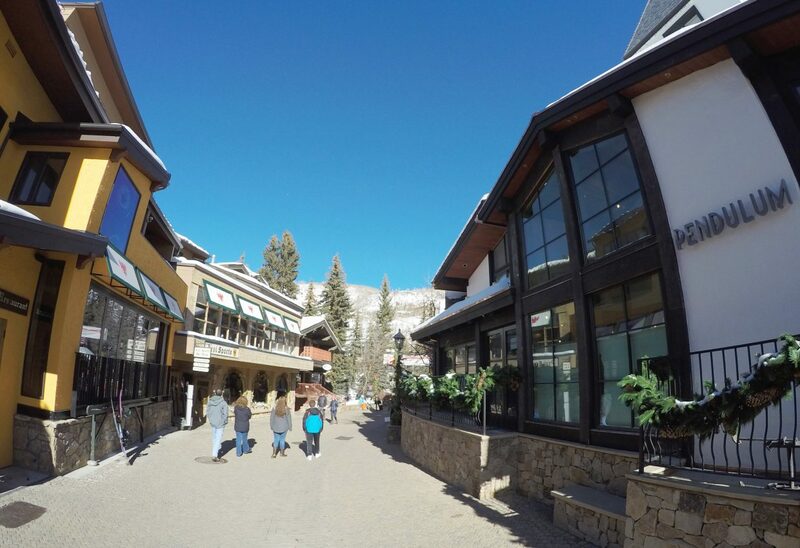 So if you’re looking for something new and authentic in Vail, Thoma recommends you try Almresi this year, while they have a full day’s offering.